Results from study looking at a new type 2 diabetes drug, empagliflozin(Jardiance), have demonstrated it significantly reduced the risk of the combined endpoint of cardiovascular (CV) death, non-fatal heart attack or non-fatal stroke by 14% (compared to placebo ) in patients with type 2 diabetes at high risk of CV events. All patients in the study received a background standard of care for cardiovascular disease. There was a significant 38% risk reduction in CV death, with no significant difference in the risk reduction of non-fatal heart attack or non-fatal stroke. In addition, empagliflozin resulted in a risk reduction of all-cause mortality (32% reduction) and hospitalisation for heart failure (35% reduction). These data were presented at the 51st European Association for the Study of Diabetes Annual Meeting in Stockholm, Sweden, and simultaneously published in the New England Journal of Medicine. Patients with type 2 diabetes have a two to four fold increased risk of CV events. Approximately half of all patients with type 2 diabetes will die from CV disease. Diabetes can reduce life expectancy by up to 12 years in patients at high CV risk. The effect of empagliflozin in this trial was observed on top of standard of care. This means the benefit was seen over and above other treatments patients were already receiving for diabetes and/or cardiovascular disease (for example, three in four were on statins and over nine in 10 were on blood pressure medications). The overall safety profile of empagliflozin was consistent with previous trials. The incidence of diabetic ketoacidosis in patients was below 0.1% and similar across all treatment groups. 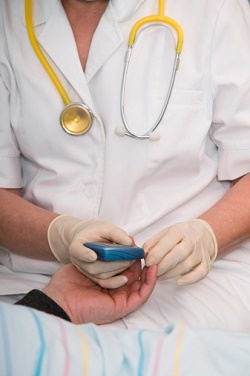 “In total there are currently over 3.3 million people with diabetes in the UK. Every day a further 700 people are diagnosed. They will face many challenges. However, what often goes unreported is that it is cardiovascular events that are the number one cause of death. Reducing cardiovascular risk is therefore an essential component of diabetes management” said Prof. Klaus Dugi, Boehringer Ingelheim Medical Director, UK and Ireland. EMPA-REG OUTCOME was a long-term, multicentre, randomised, double-blind, placebo-controlled trial that involved more than 7,000 patients from 42 countries with type 2 diabetes at high risk for cardiovascular (CV) events. The primary outcome event was time to first occurrence of either CV death, or non-fatal heart attack or non-fatal stroke. There were 772 such primary outcome events in the EMPA-REG OUTCOME trial over a median observation period of 3.1 years. The study was designed to assess the effect of empagliflozin (10mg or 25mg once daily) added to standard of care compared with placebo added to standard of care. The primary endpoint was defined as time to first occurrence of either CV death, or non-fatal heart attack or non-fatal stroke. The study was designed to first test for non-inferiority and then for superiority of the primary endpoint compared to standard of care. Standard of care was comprised of glucose-lowering agents and cardiovascular drugs (for example, three in four were on statins and over nine in 10 were on blood pressure medications). More than 97% of patients completed the trial and vital status was available for more than 99 percent of patients who completed the study. Empagliflozin is an oral, once daily, highly selective sodium glucose cotransporter 2 (SGLT2) inhibitor approved for use in Europe, the United States and other markets around the world for the treatment of adults with type 2 diabetes. Empagliflozin works by blocking the reabsorption of glucose (blood sugar) by the kidney, leading to urinary glucose excretion, and lowering blood glucose levels in people with type 2 diabetes. SGLT2 inhibition targets glucose directly and works independently of β-cell function and the insulin pathway. Empagliflozin is not licensed for people with type 1 diabetes or for people with diabetic ketoacidosis (increased ketones in the blood or urine).